42349 PER2396.JPG 500X638\PER2396.JPG 42350 PER2396_1.jpg 500X638\PER2396_1.jpg 42644 PER2396_2.jpg 500X638\PER2396_2.jpg 43678 zoom2.jpg 500X638\zoom2.jpg Send A Hint! Product Description: less text Let her store those makeup essentials in style with this black and gold cosmetic bag which is personalised with the lucky recipient's name in gold. Now she'll think of your everytime she uses it! 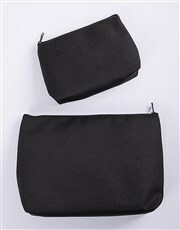 *Available in small (11cm x 16cm) and large (17cm x 25cm). 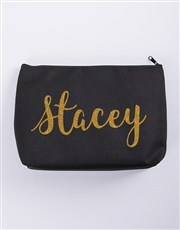 Get this Personalised Gold Name Cosmetic Bag delivered with NetFlorist.